Only 40% of organizations are fully prepared for an audit. When you saw this figure, were alarm bells raised? Should it raise an alarm? What does it say about the 60% who are not ready and what are the possible ramifications for their lack of preparedness? Let’s backtrack a little and set the stage. We know compliance risks to your business are numerous and come from a variety of sources– from corruption, to health and safety, fraudulent or illegal business activity, and now more than ever, harassment, in addition to a long list of state and government regulations covering issues like overtime and sick leave. Failure to recognize the enormity or the consequences of breaches is significant, costly and illegal depending on the situation. While now thanks to social media, there is the added repercussion that seemingly overnight a brand’s reputation can be damaged or destroyed. Such is the concern over this that in Aon’s 2017 Global Risk Management Survey, damage to brand and reputation was ranked as the top risk by respondents from around the world. Obviously, though the majority of companies are not paying heed to this risk and are putting themselves in a potentially vulnerable position. A drop in sales and brand value due to a breach. All of which are quite unnecessary risks given that we offer both the technology and the knowledge to implement HR solutions that will facilitate and ensure your organization is always audit ready. There are a number of factors to be considered when selecting your compliance ready HR solution. 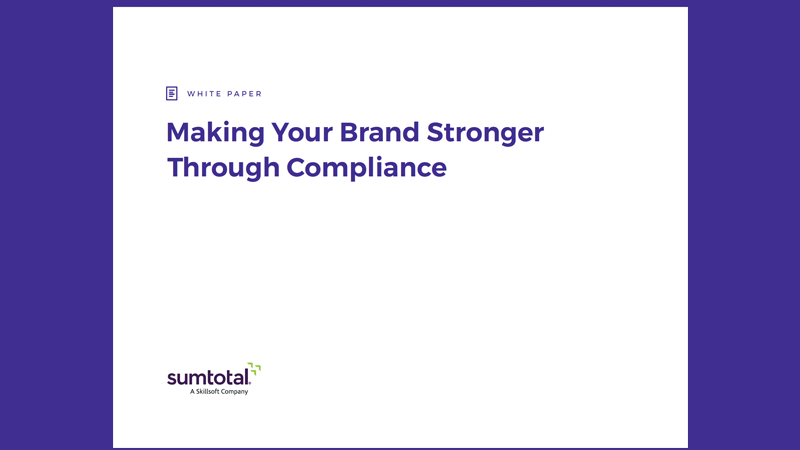 And it is these that we discuss in length in Making Your Brand Stronger Through Compliance white paper. Is it not then up to you to ensure you are taking every step possible to ensure you protect and safeguard your reputation? Find out more by reading this whitepaper.